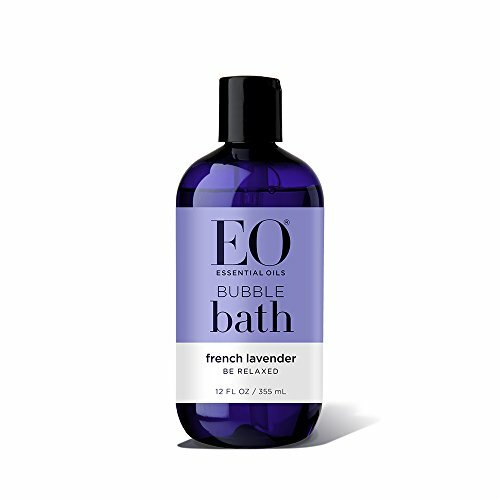 The timeless scent of Lavender relaxes and calms the senses in a bath of serenity. Sore muscles are rejuvenated through the regenerative properties of sea salts. Immerse your mind, body and spirit in total relaxation. Packaged in a 22oz recycled cardboard container. The timeless scent of French Lavender essential oil pairs with Coconut derived cleansers to create a calming bath. The deeply moisturizing properties of botanical extracts nourish skin while you soak in a relaxing bath. Have a moment of serenity alone every day. 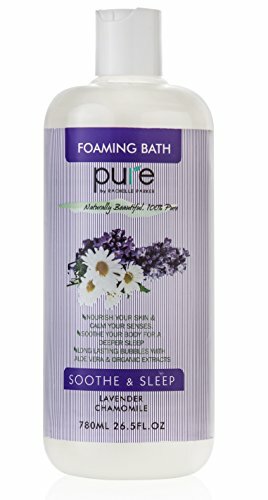 Pure Lavender & Chamomile Bath Foam is formulated with carefully selected organic extracts and oils popular for their calming, soothing and skin nourishing properties. Contains Lavender, Chamomile, Aloe Vera and other natural extracts and minerals. Featuring natural cleansing and hydrating ingredients that gently purify, moisturize and deeply nourishe the skin, while leaving behind a fresh and light aroma. Relieve your stress and muscle tension with a foamy bubble bath, while promoting calmness and relaxation for both mind and body. 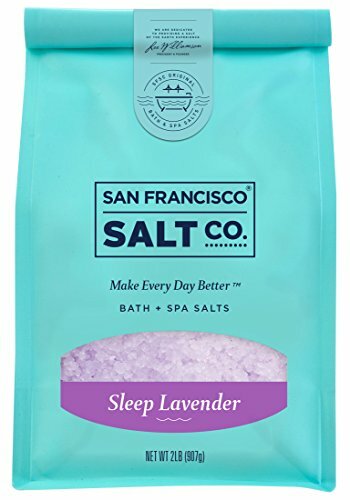 Sleep Lavender Bath Salts packaged in our 2lb designer bag. 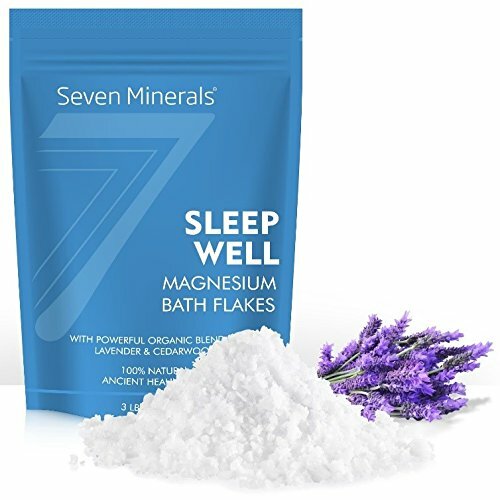 A therapeutic bath salt for relaxation and promoting a good night's sleep. Also soothes muscle aches and pains. 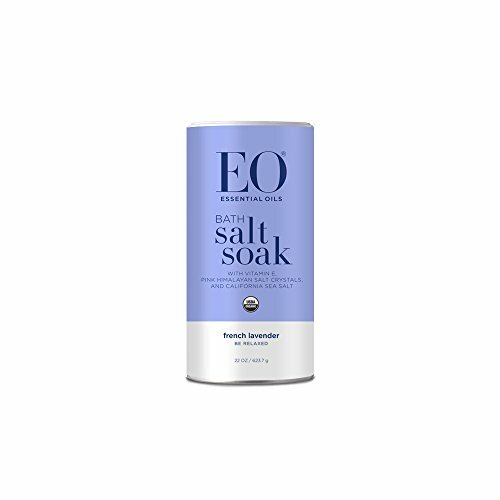 Grain: Fine/Medium grain blend Color: Soft Purple Scent: Lavender Essential Oil - Soothing, soft scent of Lavender What are some of the other general benefits of bathing with bath salts? The minerals found in sea salt are absorbed through the skin which are essential to the bodies' functions. Bath salts flush out harmful toxins from the body. They also exfoliate the skin, leaving the skin smooth and supple while helping to heal cuts, burns, wounds, and insect bites. They're also a good stress reliever! Cruelty Free * Paraben Free * Phthalate Free * SLS Free Safe for Jacuzzis & Spas Our philosophy is simple. We want you to remember how good it feels to take a bath. Our products harmonize the therapeutic power of bathing, aromatherapy and natural sea salts to transform your bath into a healing ritual for your body and mind. 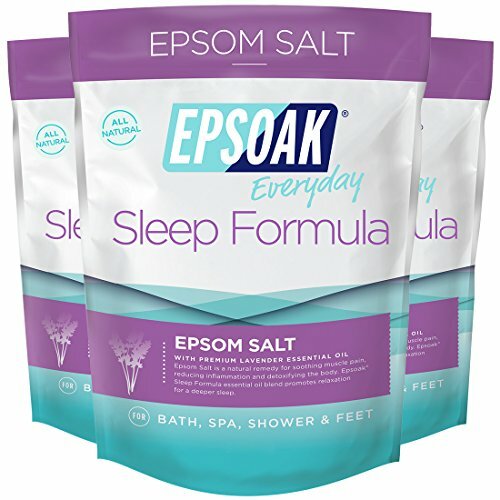 QUANTITY 3 OF: Sleep Formula Epsom Salts packaged in our 2lb resealable bag. A natural remedy to soothe tired and aching muscles, while promoting a deeper, better night's sleep. Grain: Medium Color: Natural white Scent: Lavender What are some of the other general benefits of bathing with bath salts? The minerals found in sea salt are absorbed through the skin which are essential to the bodies' functions. 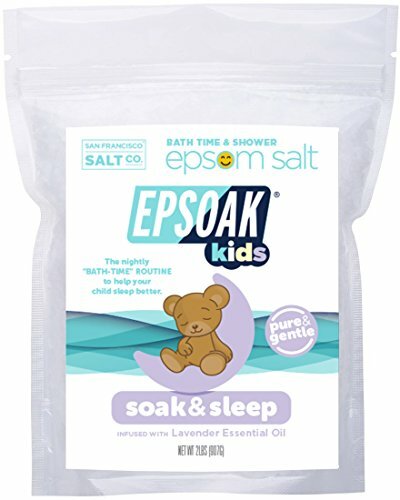 Bath salts flush out harmful toxins from the body. They also exfoliate the skin, leaving the skin smooth and supple while helping to heal cuts, burns, wounds, and insect bites. They're also a good stress reliever! Cruelty Free * Paraben Free * Phthalate Free * SLS Free Safe for Jacuzzis & Spas Our philosophy is simple. We want you to remember how good it feels to take a bath. 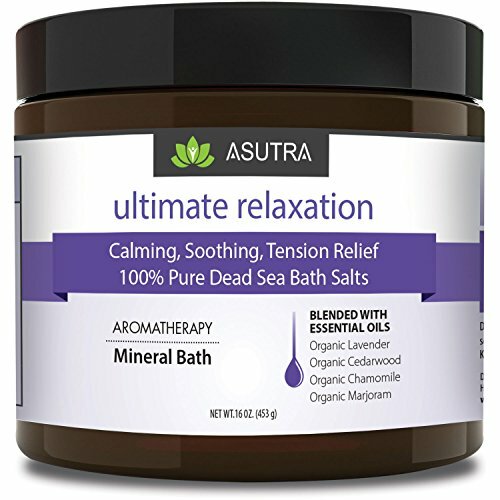 Our products harmonize the therapeutic power of bathing, aromatherapy and natural sea salts to transform your bath into a healing ritual for your body and mind. 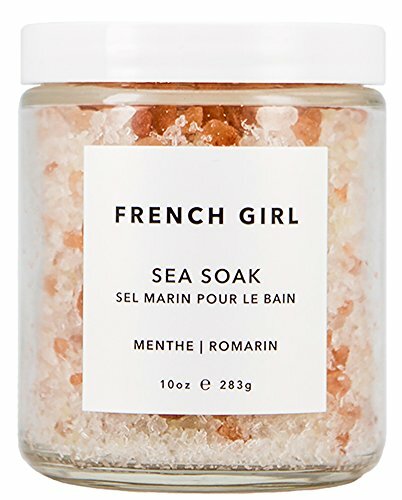 French Girl Organics is handcrafted in Seattle, WA but remains thoroughly inspired by French body care. Carrying a passion for herbs, flowers, botanicals and all things French, proprietress Kristeen makes yearly trips to the Languedoc province to influence her creations. Every product that French Girl Organics produces is handmade from Kristeen's original recipes that have been tested and used by her family for over twenty years. Organic & Wildcrafted. Vegan. Animal Friendly. - 80-100% Organic - 100% Vegan Friendly - 100% Plant Ingredients - Paraben free, Sulfate free, Cruelty free - Tested on French Girls, never on animals!